The Graham Chronofighter Vintage GMT is the tough guys ticket to time travel. Issuing the latest stamp in the iconic Graham Chronofighter familys passport is a timepiece thats cool about being in two places at once. 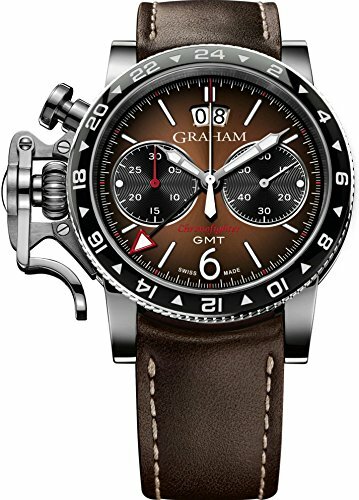 The Graham Chronofighter Vintage GMT integrates a second time zone in a design that takes inspirations from different eras elegantly in its stride. 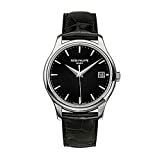 Parented by the series launched at the dawn of the new millennium, this model combines sophisticated contemporary horology with visible vintage flashbacks. It whisks the imagination on time travel trips taking in nostalgic plane adventures, fuelled by whispers of the worlds of independent babyboomers and the liberated Beat Generation. The familys trademark stop start trigger is reliably ready for action, wherever, whenever.